Dr. Steve joined Care More Chiropractic Center after completing his doctorate studies at Life University School of Chiropractic in 1996. He had received a B.E. degree in Electrical Engineering from Manhattan College in 1970, and also studied Computer Science at Northern Illinois University. Following a career in the corporate world as a V.P. of a fortune 500 company, Dr. Steve decided that helping people reach their health potential through chiropractic was far more rewarding. Dr. Steve is committed to educating patients about chiropractic and its role in reaching optimum health. Dr. Steve currently serves on the Board of Directors of the International Chiropractors Association (ICA), the Board of Directors of the Integrated Healthcare Policy Consortium (IHPC). In 2006, Dr. Steve was named the Chiropractor of the Year by the GCC and the Alumni of the Year by the Life University Alumni Association. 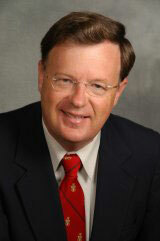 Dr. Steve was elected the Secretary/Treasurer of the ICA in 2009 and served in that position until 2013. He was named the ICA Chiropractor of the Year in 2011. 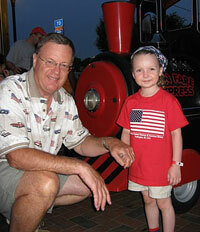 Dr. Steve and his oldest grand daughter, Isabelle. Dr. Steve is an avid student of quantum physics and is constantly pursuing a greater understanding of how the latest scientific discoveries are validating the underlying concepts and premises of the Science of Chiropractic as defined by D.D. Palmer over 100 years ago. In addition, Dr. Steve is active on the political front. He has served as a member of the Republican National Senatorial Committee and the Republican Presidential Task Force. As Dr. Steve notes, we all would agree, one of our greatest freedoms is the freedom of choice. We currently have the freedom to choose our own Doctor, the freedom to pursue an alternative healthcare, the freedom to choose to not vaccinate our children, and the freedom to live our life in a healthy way, without government interference. We must guard our freedoms well and they should not be taken for granted. Dr. Steve currently serves on the Federal Policy Committee of the IHPC and is a vocal supporter of the implementation of Section 2706 of the PPACA in order to end discrimination against non-MD health care providers (see “CoverMyCare“) and believes that the anti-trust exemptions granted to the insurance companies in 1945 should be repealed.